Today, Kellen and I went to the Old Spanish Monastery in North Miami and I took this photo of her in the gardens there. 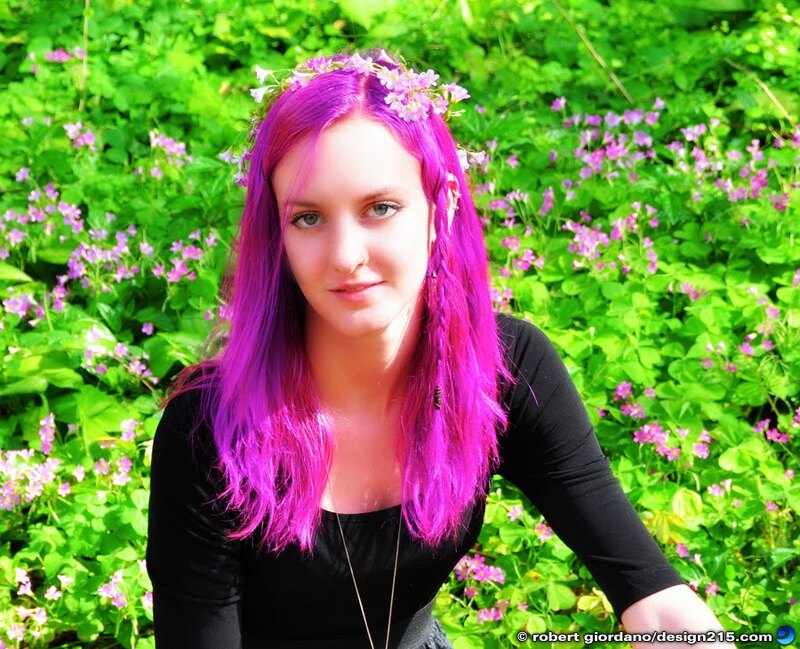 Kellen recently dyed her hair and I thought she looked great against the green leaves and pink flowers. In Photoshop I added some saturation but her hair really is pretty bright, lol. I also added a blur overlay for a slight soft focus effect.